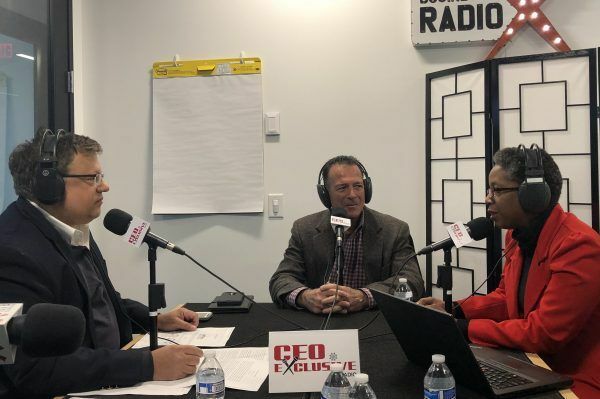 On this CEO Exclusive we welcome Tino Mantella and Marty Gupta with Turknett Leadership Group to discuss leadership, culture, team building and much more concerning the mid-market sector. Turknett Leadership Group is a full service talent management firm, experienced in character-based leadership development and systemic HR improvement. Tino J. Mantella became President and CEO of Turknett Leadership Group on October 29th, 2018. TLG is one of the nation’s top leadership development companies, driven by its proprietary Leadership Character model and grounded in science. TLG has supported hundreds of CEOs and their teams over the last 32 years Founders; Dr. Robert (Bob) Turknett and Carolyn Turknett will remain engaged and committed to the company’s mission..
Mantella brings over 30 years of experience leading some of the nation’s largest and most distinguished not-forprofit organizations including the YMCA of Metropolitan Chicago, the National Arthritis Foundation, and the Technology Association of Georgia. Leader, innovator and versatile are three descriptors that collectively provide a framework for Tino’s career. He supervised a team of over 4,500 employees during his years at the Chicago Y. Programs ranged from gang intervention to foster care to being the largest provider of SROs (Single Room Occupancy Housing) in the State of Illinois. The YMCA and Mantella, during his tenure, were one of the first not-for-profits ever recognized with the prestigious George Land award for Innovation. At the Arthritis Foundation, during Mantella’s tenure, the organization disseminated over $50 million dollars to help find cures the debilitating diseases. And, at TAG (Technology Association of Georgia), over the 12 years Mantella was at the helm, the organization grew from less than 500 members to over 36,000, becoming the largest organization of its kind in North America. In January of 2017, Tino was appointed President & CEO of Tier4 Advisors. This for-profit company helps senior leaders optimize decisions around their IT expenditures. In 2018 Tier4 was recognized as an Inc.1,000 company for the first time in its history. Tino will remain a Partner at Tier4 and equity owner. Mantella resides in John’s Creek with his wife Deborah. Marty Gupta joined the Turknett Leadership Group in December, 2018 as Vice President, Strategy. In this role he is responsible for the firm’s strategy practice which includes facilitating strategy-setting with senior teams, coaching executives on strategy and innovation, and TLG’s ‘strategy as a service’ content and tools. 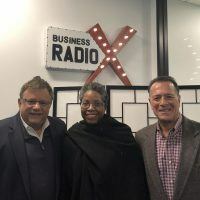 Marty has over 30 years of experience in strategic planning and business development both in leadership roles and as an executive advisor to Fortune 500 companies. 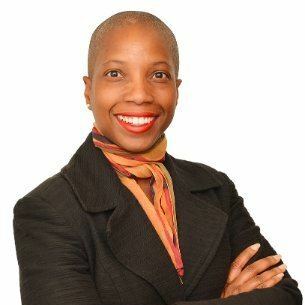 As Managing Director of the CAP Consulting Group, a strategy and innovation consultancy, Marty facilitated strategy-setting with senior teams and coached development teams at global companies in a range of industries. He conducted strategy sprints, implemented enterprise-wide agile innovation processes, and helped develop, launch and scale several new products and businesses. Prior to CAP Consulting, Marty held senior positions at SAIC, PricewaterhouseCoopers and BellSouth. He ran a software company at SAIC, directed corporate development at PwC, and led product and marketing groups at BellSouth. Prior to that, he worked in corporate strategy and product development at AT&T and Xerox. Marty has developed or overseen development of over 75 successful products and businesses including global alliances, partnerships, joint ventures and acquisitions. Marty has an MBA from the University of Rochester Simon School of Business, and a BS in Industrial Engineering from the University of Buffalo. Follow Turknett on LinkedIn, Facebook and Twitter.